Asunción, the capital of the South American country of Paraguay, is a unique city, a bit more off the typical tourist path. With great modern development blended with fascinating colonial architecture, there’s something new and unique around every corner in Asunción. Numerous monuments and historic sites are found all over the city, including the impressive National Pantheon of the Heroes, a mausoleum dedicated to important Paraguayan historic figures. Asunción also has a beautiful Botanical Garden and Zoo, with both native and foreign plant and animal species. The city itself is located right on the banks of the Paraguay River, giving the city picturesque scenery. Explore this special and lesser-known South American treasure when you plan your next vacation. 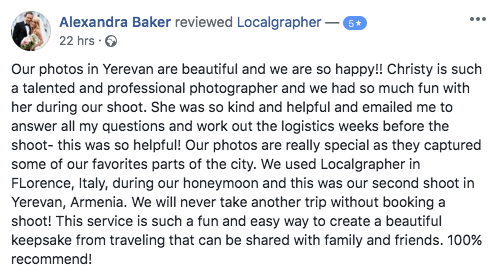 Book one of our local photographers in Asunción today to help you make the most of your time and get the best pictures possible that capture the culture and charm of the city.